A Self-Directed IRA offers one the ability to use his or her retirement funds to make almost any type of investment on their own without requiring the consent of any custodian or person. The IRS only describes the type of investments that are prohibited, which are very few. Self-Directed IRA investment options range from stocks and bonds to real estate and private business. The Internal Revenue Code does not describe what a Self-Directed IRA can invest in, only what it cannot invest in. Internal Revenue Code Sections 408 & 4975 prohibits Disqualified Persons from engaging in certain type of transactions. The purpose of these rules is to encourage the use of IRAs for accumulation of retirement savings and to prohibit those in control of IRAs from taking advantage of the tax benefits for their personal account. A Prohibited Transaction, which is defined in Internal Revenue Code Section 4975, is any transaction between your retirement account (the Plan) and a “disqualified” person or entity. In general, “disqualified” person is any lineal ascendant (i.e. parents, grandparents, etc. ), descendants (children, grandchildren, etc. ), spouse, spouse’s ascendants, descendants or any entity for which a disqualified person has 50% or more ownership. Lending money or engaging in some other extension of credit between the retirement account and a disqualified person. For example, you cannot personally guarantee a loan for the purchase of real estate by your retirement account. Furnishing goods, services or facilities between the retirement account and a disqualified person. For example, you cannot personally make an improvement to a house or piece of property held by your retirement account. Transferring or using by or for the benefit of a disqualified person, the income or assets of a retirement account. For example, you may not use any real estate owned by the retirement account for any personal purpose. Dealing with income or assets of a plan by a disqualified person who is a fiduciary acting in his/her own interest or for his/her own account. For example, you should not loan money from your retirement account to a business you own. Receiving any consideration for his/her personal account by a disqualified person who is a fiduciary from any party dealing with the plan in connection with a transaction involving the income or assets of the plan. For example, you cannot take a salary for managing real estate owned by your retirement account. For more information about the prohibited transaction rules, please refer to IRS publication 590. 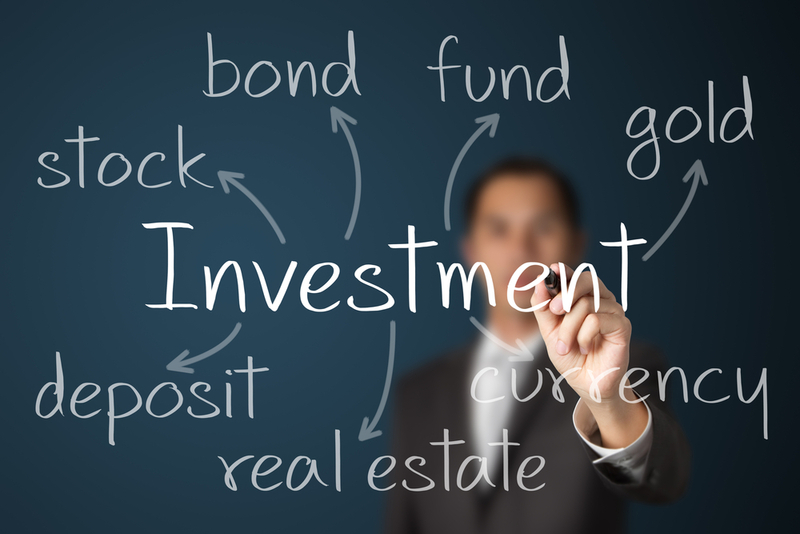 A Self-Directed IRA offers the investor the ability to make traditional as well as non-traditional investments, such as real estate, in a tax-efficient manner. The concept of tax deferral is premised on the notion that all income and gains generated by the pre-tax retirement account investment would generally flow back into the retirement account tax-free. Instead of paying tax on the returns of a Self-Directed IRA investment, such as real estate, tax is paid only at a later date, leaving the investment to grow unhindered. For example, if an IRA investor invested $100,000 into a Self-Directed IRA LLC in 2014 and the account earns $10,000 in 2014, the investor would not owe tax on that $10,000 in 2014. Instead, the Self-Directed IRA investor would be required to pay the taxes when he or she withdraws the money from the IRA, which could be many years later. For example purposes, assuming the IRA investor mentioned above is in a 33% federal income tax bracket, she would have had to pay $3,333 in federal income taxes on the $10,000 earned on the IRA in 2014. That would have left $6,667 in the account. At an 8% annual return, those earnings would go on to produce $533.36 in 2015. However, because IRAs are tax deferred, the Self-Directed IRA investor is able to earn a return on the full $10,000 rather than the $533.36 she would have had if she had to pay taxes that year. At an 8% annual return, she’d earn $800 in 2015. The beauty of tax deferral is that the deferral compounds each year. Tax deferred investments though a Self-Directed IRA generally help investors generate higher returns. That’s because the money that would normally be used for tax payments is instead allowed to remain in the account and earn a return. The IRS permits using a Self-Directed IRA to purchase real estate or raw land. Real estate is the most popular investment made with a Self-Directed IRA. Making a real estate investment is as simple as writing a check. Since you are the manager of your Self-Directed IRA, you have the authority to make investment decisions on behalf of your IRA. One major advantage of purchasing real estate with a Self-Directed IRA is that all gains are tax-deferred until a distribution is taken (Traditional IRA distributions are not required until the IRA owner turns 70 1/2). In the case of a Self-Directed Roth IRA, all gains are tax-free. For example, if you purchased a piece of property with your Self-Directed IRA for $75,000 and later sold the property for $150,000, the $75,000 of gain would generally be tax-free. Whereas, if you purchased the property using personal funds (non-retirement funds), the gain would be subject to federal income taxes and in most cases state income tax. The IRS permits the purchase of tax liens and tax deeds with a Self-Directed IRA. By using a Self-Directed IRA LLC to purchase tax-liens or tax deeds, your profits are tax-deferred back into your retirement account until a distribution is taken (Traditional IRA distributions are not required until the IRA owner turns 70 1/2). In the case of a Self-Directed Roth IRA, all income and gains received would be tax-free. More importantly, with a Self-Directed IRA, you, as the manager of the IRA, will have “Checkbook Control” over your IRA funds allowing you to make purchases on the spot without custodian consent. In other words, purchasing a tax-lien or tax deed is as easy as writing a check! The IRS permits the use of IRA funds to make loans or purchase notes from third parties. By using a Self-Directed IRA LLC to make loans or purchase notes from third parties, all interest payments received would be tax-deferred until a distribution is taken (Traditional IRA distributions are not required until the IRA owner turns 70 1/2). In the case of a Self-Directed Roth IRA, all interest received would be tax-free. For example, if you used a Self-Directed IRA LLC to loan money to a friend, all interest received would flow back into your IRA tax-free. Whereas, if you lent your friend money from personal funds (non-retirement funds), the interest received would be subject to federal and in most cases state income tax. With a Self-Directed IRA you are permitted to purchase an interest in a privately held business. 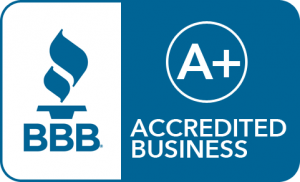 The business can be established as any entity other than an S Corporation (i.e. Limited Liability Company, C Corporation, partnership, etc.). When investing in a private business using IRA funds, it is important to keep in mind the “Disqualified Person” and “Prohibited Transaction” rules under IRC 4975 and the Unrelated Business Taxable Income rules under IRC 512.
one, one-half, one-quarter or one-tenth ounce U.S. gold coins (American Gold Eagle coins are the only gold coins specifically approved for IRAs. Other gold coins, to be eligible as IRA investments, must beat least .995 fine (99.5% pure) and be legal tender coins. The Technical and Miscellaneous Revenue Act of 1998 allowed IRA owners to invest their IRA assets in certain platinum coins as well as certain gold, silver, platinum, or palladium bullion, provided the coins are held in a financial organization. The IRS does not prevent the use of IRA funds to purchase foreign currencies. Many believe that foreign currency investments offer liquidity advantages to the stock market as well as significant investment opportunities. By using a Self-Directed IRA LLC to purchase foreign currencies, all foreign currency gains generated would be tax-deferred until a distribution is taken (Traditional IRA distributions are not required until the IRA owner turns 70 1/2). In the case of a Self-Directed Roth IRA, all foreign currency gains would be tax-free. In addition to non-traditional investments such as real estate, a Self-Directed IRA may purchase stocks, bonds, mutual funds, and CDs. The advantage of using a Self-Directed IRA is that you are not limited to just making these types of investments. With a Self-Directed IRA you can open a stock trading account with any financial institution as well as purchase real estate, buy tax liens or lend money to a third-party. Your investment opportunities are endless! If you still have questions about the self-directed IRA investment options available to you, contact IRA Financial Trust directly at 800-472-1043. We’ll answer any questions you may have. We look forward to your call.